“And he changeth the times and the seasons: he removeth kings, and setteth up kings: he giveth wisdom unto the wise, and knowledge to them that know understanding: He revealeth the deep and secret things: he knoweth what is in the darkness, and the light dwelleth in him” (Daniel 2:21-23). 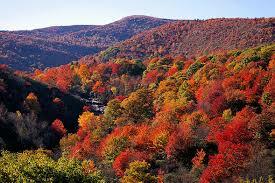 Have you noticed how the leaves are changing to brilliant colors of fall: oranges, browns, reds, and golds? It seems that everywhere I go I am reminded of how painstakingly God must have touched on every leaf in the Garden of Eden. There were not any shortcuts taken in his plan. His Word caused universes to come into existence. It was a paradise, but then—we all know the story of how disobedience brought sin into the world. I wonder if the seasons have always been as they are now? Were leaves dying and sailing to the ground before sin came in to change everything? If I had my thoughts on this, I would probably think that nothing died, including the plants. Even if that were true, fall is still my favorite time of the year. Like no other season, fall gives a continuous flurry of beauty found in the foliage around us. It reminds me that God is still in control, and even though we have all sinned and come short of the glory of God, he still desires to bless us and to keep us for eternity. In the Fall, we can take the time to enjoy God’s masterpiece, because it is his delight to make us happy. The leaves will blow away eventually, and the ground will be left cold and dead; however, even the dead leaves produce brilliant colors. Fall colors remind us to enjoy the small things and to pace ourselves in our walk with God. I saw this on a print: “Heal the Past; Live for Today; Dream the Future.” We need to work toward healing our past of the deep secret hurts. Let us not close out others who want to be friends. Live for today. You cannot take back yesterday’s mistakes, or anticipate tomorrow’s demands. Finally, when you do dream the Future, let the Lord direct your steps to help your dreams happen. It takes prayer to make that happen. “Blessed is every one that feareth the Lord; that walketh in his ways. Thy wife shall be as a fruitful vine by the sides of the house: thy children like olive plants round about thy table. Yea, thou shalt see thy children’s children, and peace upon Israel” (Psalm 128).